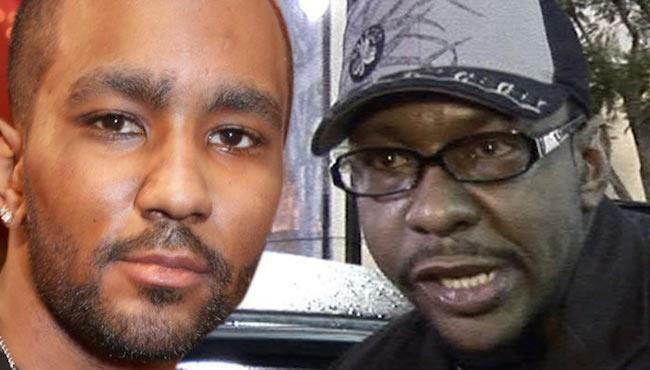 Bobby Brown and Nick Gordon are at war as Bobbi Kristina lays in a coma in a Atlanta hospital. Nick Gordon says he has repeatedly asked Bobby Brown to visit Bobbi Kristian and spend some alone time with her in her room. But Brown has either denied his requests or placed limitations on his visit. “If Bobby can guarantee me that I can see her 24/7 I’ll meet the conditions,” Gordon tweeted. Now Nick Gordon is blasting Bobby Brown on Twitter saying he was never their for his dying daughter. “Man to man I love your daughter … I don’t know why you won’t let me see her … Your daughter is going to hate you when she wakes up. It’s not like you know her anyways. What’s her favorite color? What’s her favorite smell, movies, food. You don’t know. I forgive you she won’t,” Nick Gordon wrote on Twitter. Nick Gordon has also got himself a Bobbi Kristina tattoo. There is an active investigation into the circumstances that lead to Bobbi Kristina being hospitalized in a coma. Bobby Brown lawyer, Chris Brown, says Nick Gordon has refused to cooperate and tell his side of the story. “Due to Mr. Gordon’s failure to place in tangible form his understanding of the events that lead to the hospitalization of Bobbi Kristina, there is no reason for any additional discussion with him,” Christopher Brown said in a statement.